Sales…the ultimate of step of all business processes. The only way to get sales is by generating leads. Majority salespeople run out of gas because they believe that they have hit the upper limit of people & companies to sell but in reality, they might not be looking hard enough. Finding the right target groups to sell to is just as important as actually selling to them. This is where Lead Generation comes into play. In simple terms, Lead Generation can be said as an action or process that identifies & cultivates potential customers for a business’s products or services. So what is a lead? A lead can either be a person or a company that has shown interest in your services or products. It can also be said for a person or a company that fits a target group for what you provide. In earlier times, lead generation was done by meeting people, cold calling & other various age-old techniques. Salespeople of today know that purely cold calling & meeting people are flawed processes because the volume of effective leads would not be substantial & lead generation will just happen for a namesake. But thanks to the rise in technology in the last 10 to 15 year, lead generation have become easier. Today the focus has shifted entirely from finding customers to being found by customers & the majority of this is taking place online. Technology based marketing actions that rely on computer programs, database collection & the internet has become the foundation for modern lead generation solutions to find & contact potential customers. Today lead generation infrastructures are the example of SAAS solutions which are able to provide API to automate the process of generating leads. No sales manager wants their team to waste time by cold calling unqualified leads. Automation in lead generation has simplified the direct marketing actions of businesses to allow marketers to focus their attention on repetitive tasks & focus more on selling. Using the technologies similar to email finder assures the marketer a sustainable stream of prospects to be contacted every day & automated contact forms allow to identify which customers are the best to present the final sales pitch. So, how Lead Generation actually works? Bonus: KNOW YOUR B2B LEADS: IQLS, MQLS, OR SQLS? One of the major concerns of majority marketers is budget. There are many different strategic directions to go with digital & direct marketing options which is a good news for marketers. 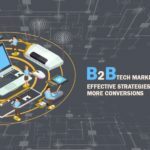 Current lead generation infrastructure which automates tedious processes involved has the ability to make outbound marketing significantly more efficient, at an affordable price. Solid lead generation strategies help you to identify key buyer research moments & map them to buyer journey, which makes it easier to tell where the prospects are in the journey. Perfect lead generation strategy will enable marketers to spend money & time for leads that are good enough. Lead generation also aides businesses to pick the particular product or services they wish to offer to their targeted prospects as per the geographical area that the business is interested in to cover. Having an established lead flow makes it easier to identify the well-qualified leads which will make it easier to identify key buyer research moments & map them to your buyer journey which will shorten the sales cycle period. Lead generation could work well for just any business. Lead generation is what puts marketers in touch with people who are or who might be interested in their products or services. Marketers are forced to rely on luck & hope that a specific type of customer will reach the page & make a purchase without the option of lead generation. But it’s not Lead Generation can solve all the marketing problems as exceptional lead generation results come only from a relentless willingness to experiment with different tactics & to combine tactics across various channels. By experimenting marketers can truly know what does work & don’t work and use their time & budget effectively to generate higher returns on investment & better lead generation results overall.